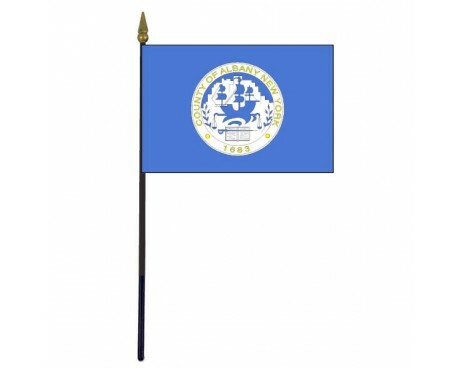 The city of Albany, NY has a rich history and much of that history is displayed on it's flag. 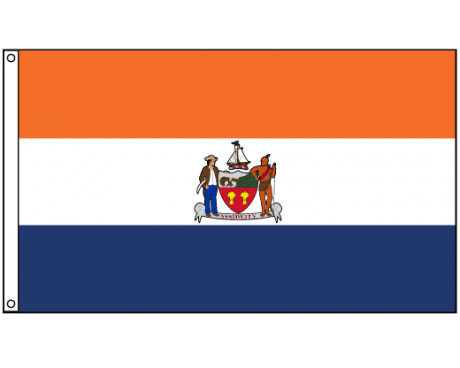 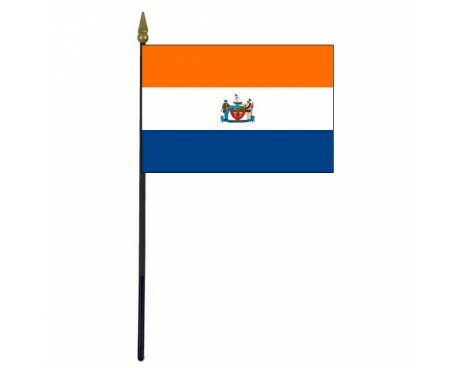 The colors recall it's Dutch heritage and the elements of the seal speak of Native Americans, the native beaver and of crops grown in the fertile soils. 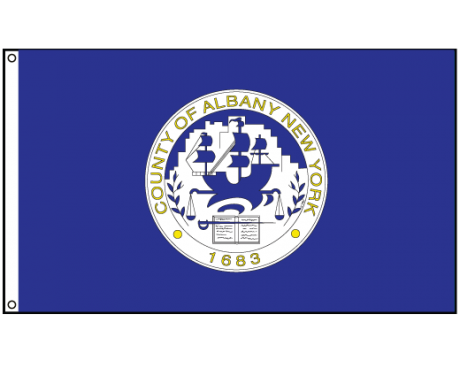 The motto of the City of Albany is Assiduity, which means the quality of acting with constant and careful attention. 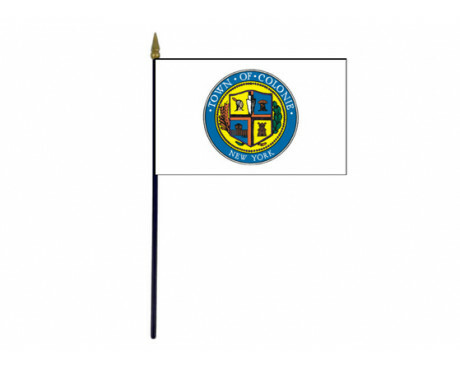 The Albany County flag has the county seal centered on a blue field. 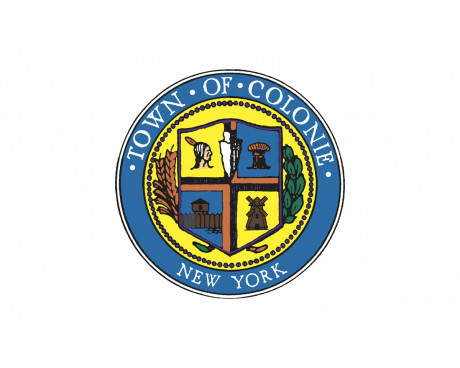 A ship, sword, and scale are among the symbols used to represent a county with a rich history and where the Capitol of the State sits proudly along the Hudson River.